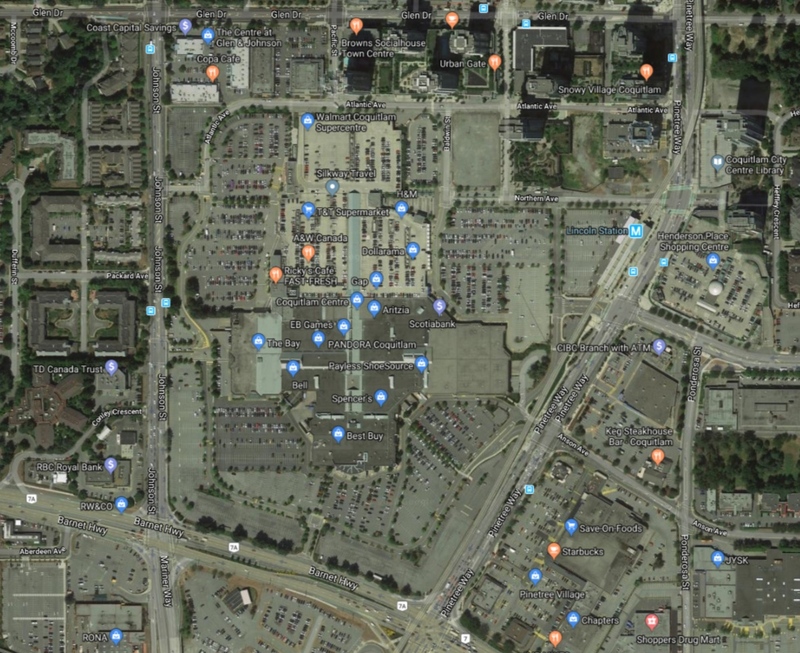 A complete redevelopment of Coquitlam Centre into a massive mixed-use district could create a regional Town Centre that rivals Brentwood, Oakridge, and Lougheed. 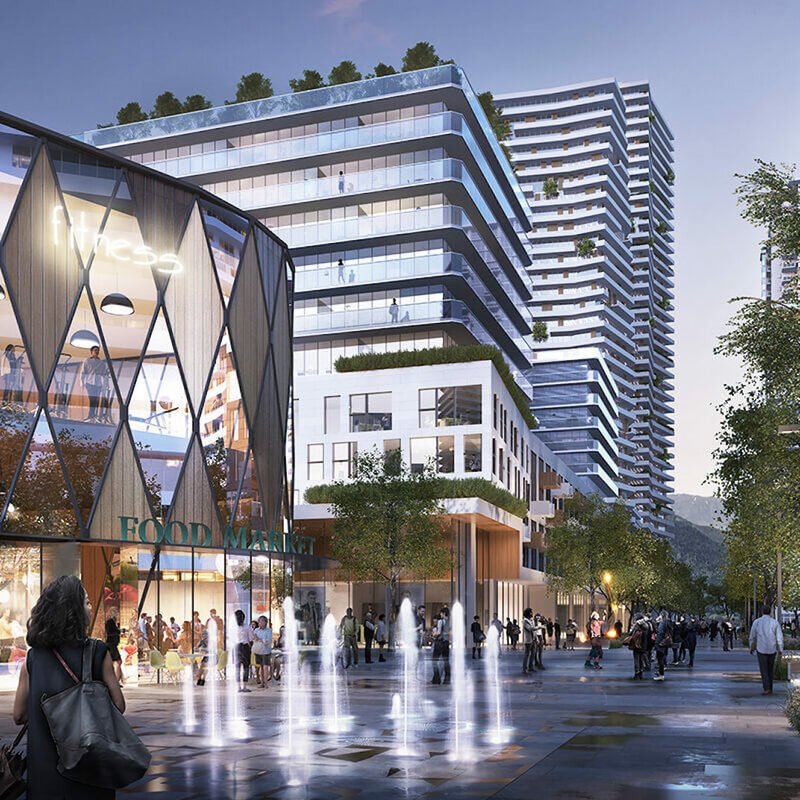 Mississauga-based Morguard Investments operates the sprawling 60-acre shopping mall property on behalf of owner Pension Fund Realty, and it has unveiled highly preliminary conceptual plans of what a redevelopment of the entire site could look like. 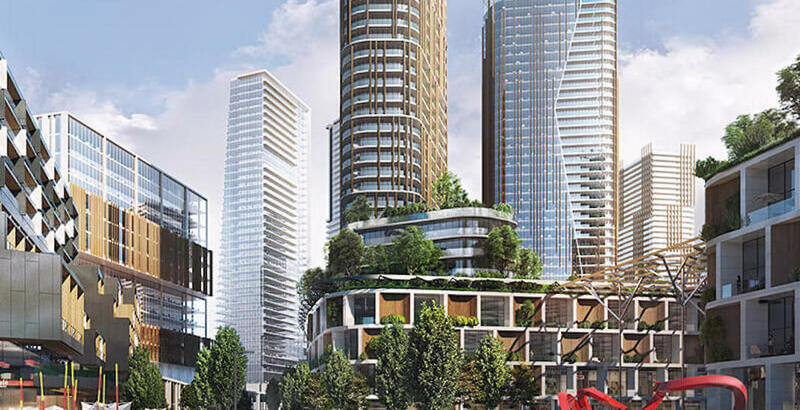 The real estate firm recently launched a public consultation process that will lead to a concept design for a master plan in spring 2019, and a formal Official Community Plan amendment and rezoning application for Phase One to the City of Coquitlam in summer 2019. 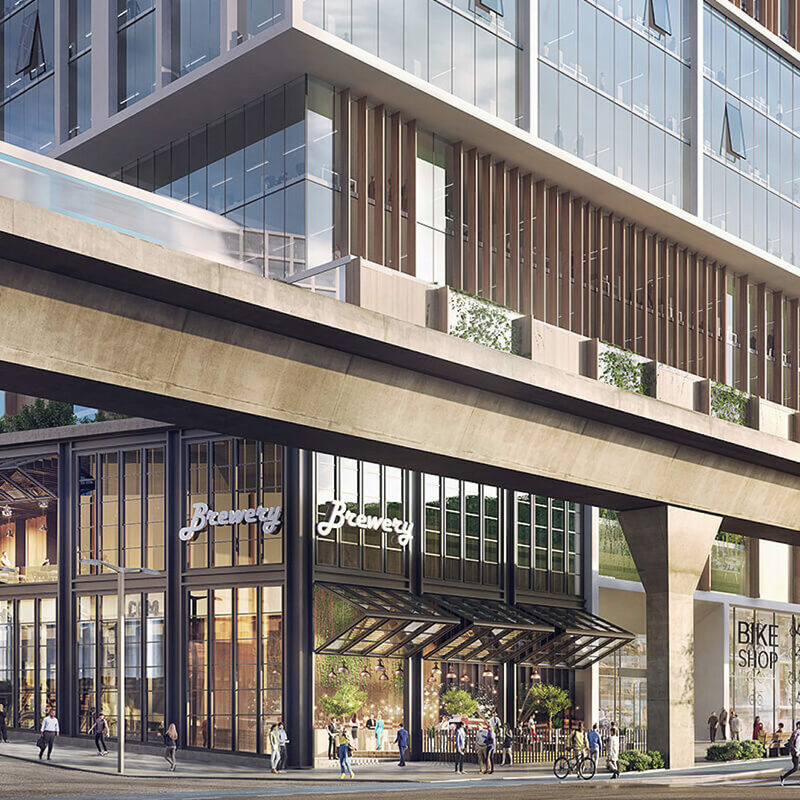 Phase One entails a 16-acre area on the northeast corner of the property — immediately adjacent to SkyTrain’s Lincoln Station — that is currently underutilized with the former vacant Sears building and ground-level parking. This phase will be constructed based on market demand, and it is not currently known when construction will be completed. Rezoning will be guided by the master plan, which outlines the site’s overall land use, urban design framework, housing strategy, sustainability designs, transportation plan, parks and public spaces strategy, and public amenities strategy. 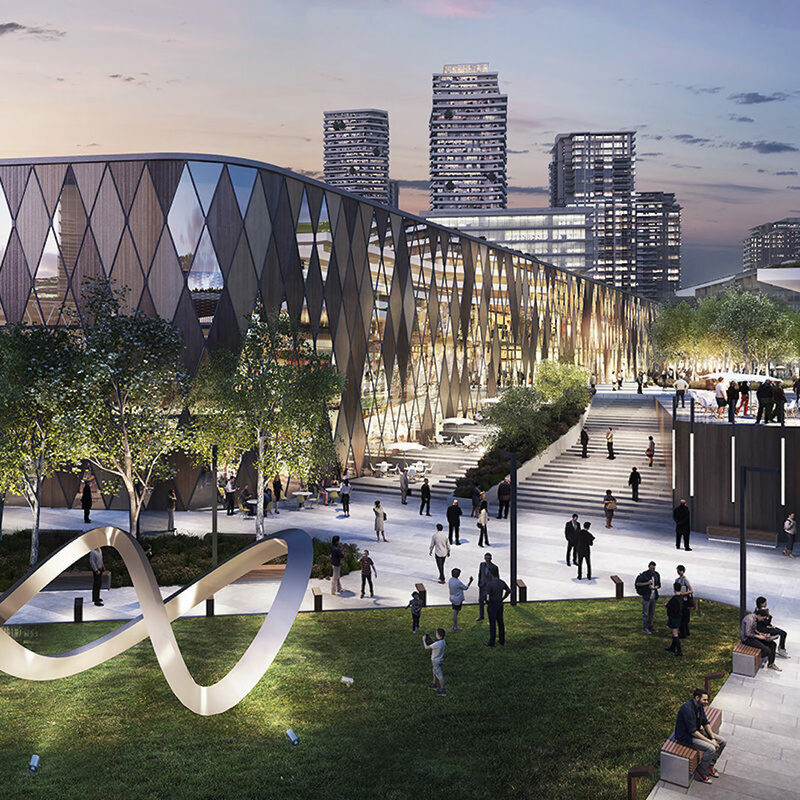 Given the scope of the redevelopment, there could be “unparalleled” opportunities for parks, public art, civic, and cultural and performance spaces. 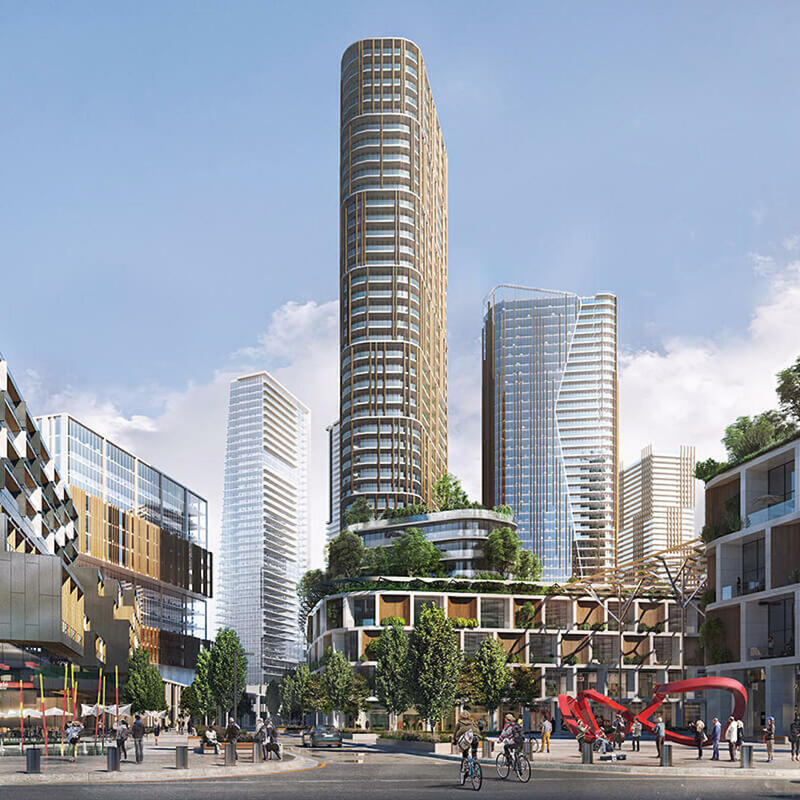 Early artistic renderings indicate the developer envisions high-quality architecture, tall tower heights, and a retainment of at least a portion of the existing indoor shopping mall.